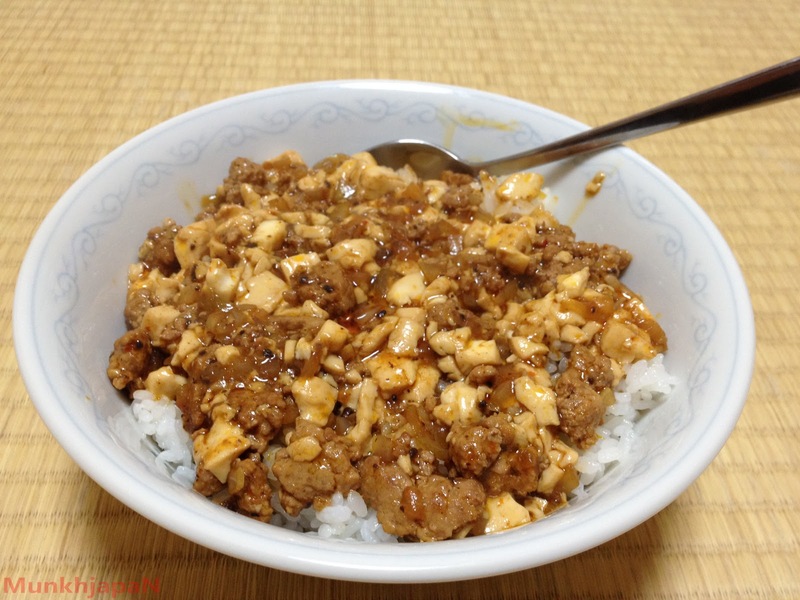 Here is the freshly cooked dish. It's called マーボ豆腐(ma-bo-tou-fu) the Japanese version of Mapo doufu. The best thing about マーボ豆腐 is it uses a minimum amount of meat which is expensive in Japan (especially when comparing to Mongolia). 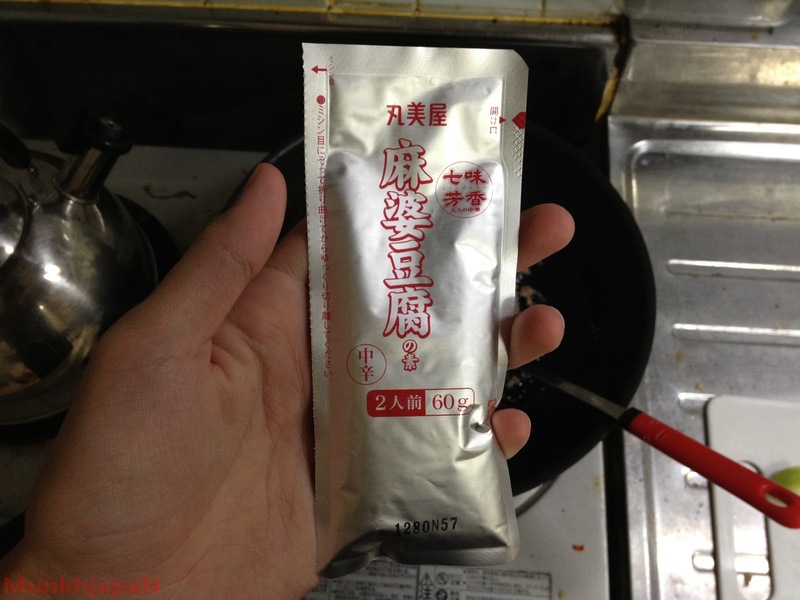 And since it uses tofu it has good amounts of protein, perfect for growing students who live alone. 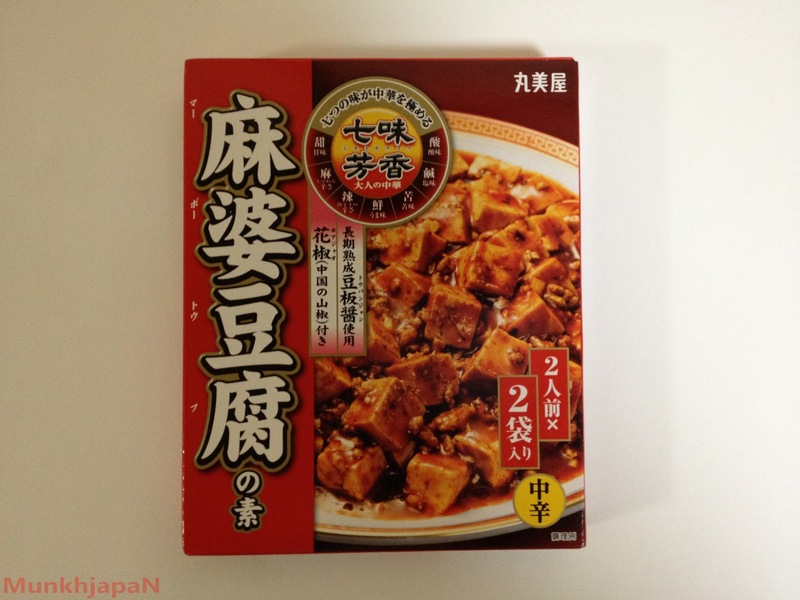 50grams of minced beef or pork meat. I think chicken breast will also do nicely. 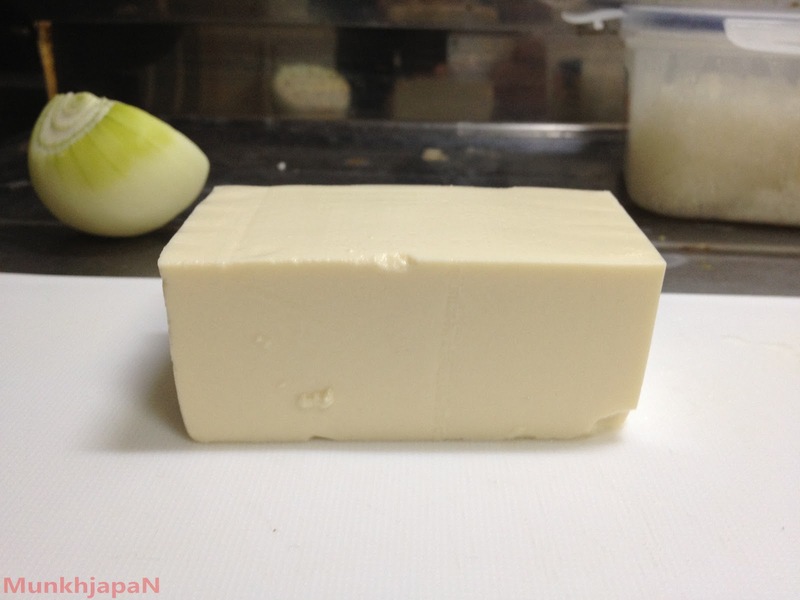 Ok, first let's neatly slice the tofu . 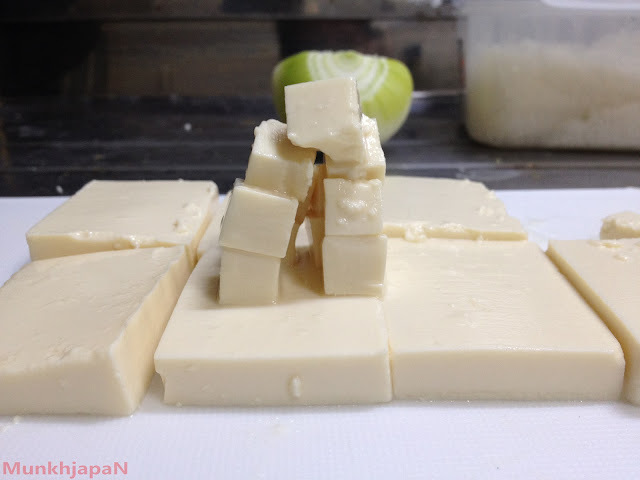 Slice the tofu into 1.5cm cubicles. You don't have to be precise so just dice them(unless your trying to impress someone). 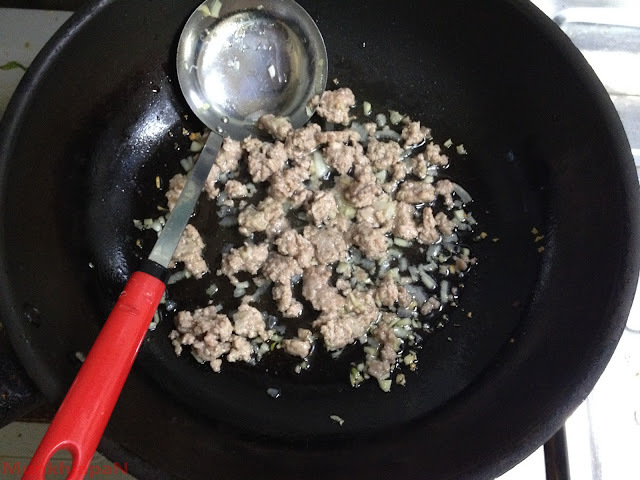 Add oil by preference and heat on medium. Usually adding enough to cover the surface of the frying pan is good. After heating it up add the minced meat. And fry them on medium heat until they're cooked, NOT burnt. 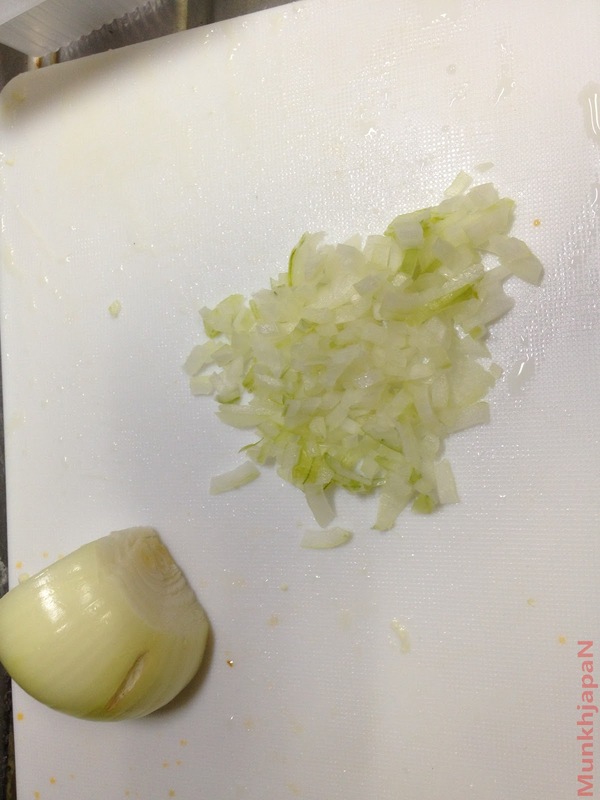 The white things you see in this picture is garlic and some onions that got mixed. 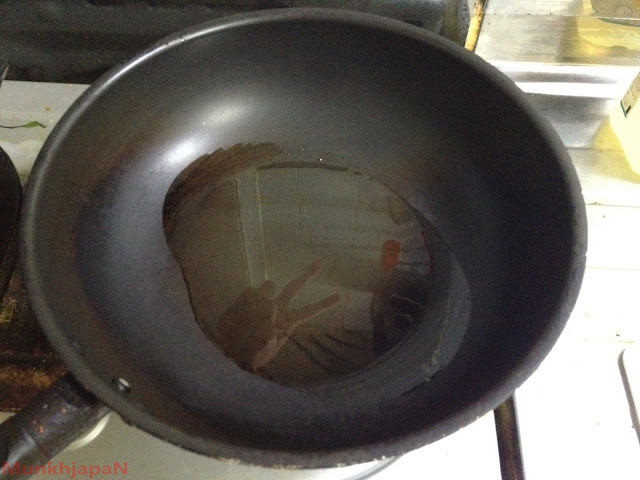 Be careful frying garlic as they get burnt really fast. 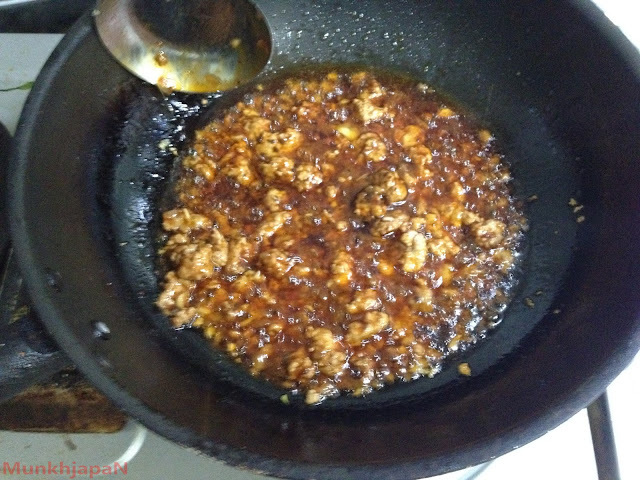 After the meat is cooked stop the heat for a bit to add the tofu sauce. Also add around 30ml of water. 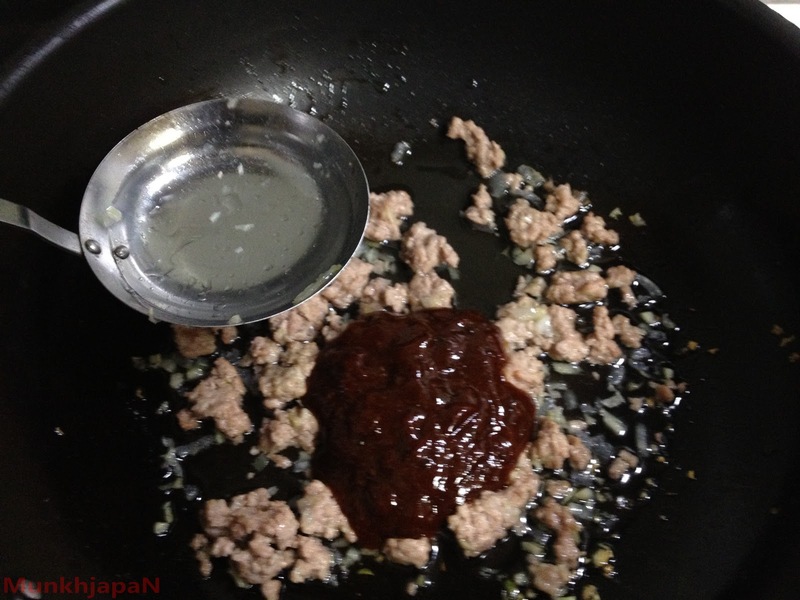 I added more water to make the sauce more, careful though if you add too much water it'll lessen the taste of the sauce. Yeah, it doesn't look good in this state. Cook on medium high until it starts to boil up, add tofu cubicles and fry on medium heat until the sauce gets a bit thicker. Stir gently while frying you don't want the tofu to turn in to a pulp. And Finished. Now all you have to do is put it on top of your rice or where ever you want. Haha "Kanade!!!" hope it wasn't as hot as the one that Kanade likes. lol what a coincidence. I just made this for the first time yesterday. Looks good! What a coincidence indeed!. What sauce did you use? This is the second recipe I have gotten from you, and I only just started reading your blog! Thank you! Zaber's cooking skill rises 0.8 points! 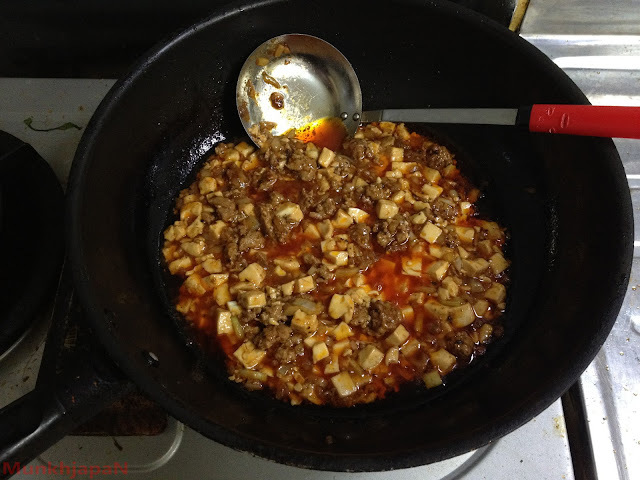 Zaber learned to cook Mabo Tofu!